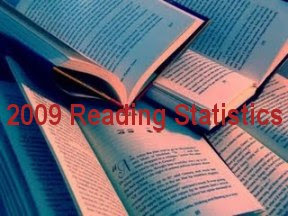 2009 Pub Challenge - Read 120 books published in 2009 (I was shocked by this stat). 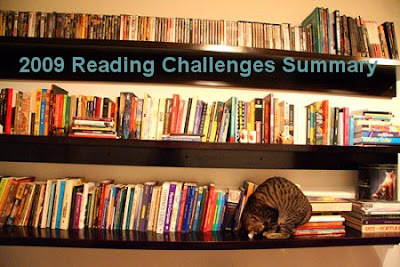 How did you do with your reading challenges for 2009? How many have you signed up for in 2010? December is my absolute favorite month of the year. My Birthday, Christmas, and preparations for the New Year, which includes finalizing lists (oh yeah I'm a list keeper). Before I even put together My Top my Best Books Read in 2009 list, or checked out how well I did in the (20) challenges I signed up for throughout the year, I was thinking about 2010. There I was, spending hours and hours looking through my book shelves in preparation of my hopes of making 2010 a banner year! Am I boring or what, or is this what other book lovers do as well? say yes, please!!! My #1 pick for 2010 was actually a tie between two books. This is the first year ever that I had two #1 books. (I'm not taking the easy way out, there were both so memorable that I truly could not decide). If you have not read my #1 picks, PLEASE make them a priority in 2010...you'll be glad you did! Have you read and any of these ? If so, did you love them as much as me? We are considering a vacation to Costa Rica sometime in 2010. Since it would be our first trip to this country, I thought this travel guide might be a perfect way to learn more about the country and its culture, it's history, the beaches, hotels etc. The Best of Costa Rica (beaches, hotels, ecolodges and wilderness resorts, B&Bs, best family resorts, places for adventure,nature, and more. Trip Planning: when to go, calendar of events,getting there and around once you are there, wedding planning, health and safety accommodations , suggested itineraries etc. Separate sections about San Jose, Guanacaste (The Gold Coast), Puntarenas and the Nicoya Peninsula, The Northern Zone: Mountain Lakes, Cloud Forest and a volcano. Fast facts guide; Spanish terms and phrases and Costa Rican wildlife info. He was married to just two women: Maggie Johnson (former swimsuit model) from 1953 - 1984) and his present wife Dina Ruiz (a former anchor woman and 35 years younger than him) from 1996 - present. He has (7) children from (5) different women: (2) from his first wife, (1) from his present wife, (2) from airline stewardess, Jacelyn Reeves, (2) with Frances Fisher, a British born American actress, and (1) by former exotic dancer Roxanne Tunis. He also had a (14 year) relationship with Sondra Locke who starred in several movies with him. Nominated for 5 Academy Awards and acted in more than 40 films. Not wanting to give out too much information about Eastwood and his life, let me just say that, in my opinion, if you are an Eastwood fan and want to find out more details about him and his acting career, this book might be a good biography to start with. My understanding is that Clint Eastwood was not interviewed for this book, so the information contained within came from multiple sources and interviews. I cannot say whether the information is accurate or not since I knew very little about Eastwood prior to reading this book. I liked the book and would RECOMMEND it. Pub Date: March 30, 2010 - Henry Holt and Co.
Share with us two (2) sentences from that page, somewhere between lines 7 and 12. (p. 317)...."In 2005, at seventy-five years of age, Clint Eastwood was happily married to his second wife. His eight-year-old daughter Morgan Eastwood had been named after his costar and good friend Morgan Freeman. He was the grandfather of two, Kimber's son and Kyle's daughter. And he was head of a financial empire that included restaurants (the Hog's Breath Inn and the Inn Mission Ranch), real estate, the exclusive invitation-only Tehama Golf Club in Carmel Valley (with an initial joining fee of $300,000), part ownership in the Pebble Beach Golf and Country Club, whole or part ownership in sixty films he had produced, directed, starred in, or all three, and Malpaso, the company that made nearly all of them. He had eight Academy Award nominations and five Oscars. And as the year began, he was deeply involved in not one but two new movies". 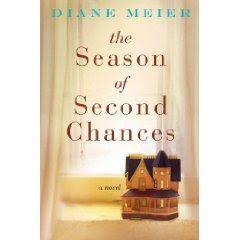 This title caught my attention several months ago, and I knew it was one book I really wanted to read, having been raised by a mother who was emotionally detached. 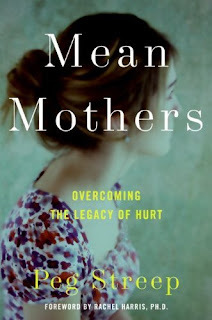 In this well researched book, Peg Streep, examines type of mothering that often is not spoken about: "Mean Mothers", and that they do in fact exist. Through scientific research and case studies of adult daughters of unloving and overly critical mothers, the author provides insight as to why some women are just not capable of nurturing their children -- especially their daughters. It isn't just physical abuse, emotional abuse can be just as damaging. The author points out how daughters who are denied closeness, loving gestures and positive reinforcement from their mothers can develop negative self-images, and compulsive behaviors like overeating, overspending and overachieving. Emotional connection and closeness is something that is learned during infancy and childhood. If raised in such a way that a child becomes emotionally detached, and this is not addressed as adults, future relationships are apt to suffer. The author was a product of such a mother.........."I was no older than three or four when I knew my mother didn't love me. Of course, the way in which I knew this was different from how I would know and understand it at other times in my life, but I knew it nonetheless. I knew it first by the way she stiffened when I tried to sit in her lap or touch her arm, and how she turned her face away when I kissed her. She wasn't like the people who loved me – my father, my grandfather, my great-aunt, or even my teachers – whose faces softened with pleasure when I drew near. " One of the women interviewed by the author, hit particularly close to home for me (Sarah fifty-two)...."I learned not to ask my mother for anything because she never gave anything freely. There were always strings attached. Holidays associated with family and closeness and even my own birthday were always hard for me and still are. I approach them with low expectations and I am always ready to be disappointed because I always was with my mother. I have trouble asking for help from people, especially women because of my mother's inability to give........."
Twelve year old Cecelia Rose (CeeCee) Honeycutt is the sympathetic narrator of this marvelous coming of age story set in the early 1960's. CeeCee's life was anything but normal. Her mother Camille is mentally ill, and often lives in the past (1951) the time when she was crowned, Vadalia Onion Beauty Queen. Her father Carl is a traveling salesman, unable to cope with his wife's behavior, he is gone for long periods of time, leaving Cee Cee to watch over her mother. Camille's favorite pass time is shopping at the Good Will Store, always adding to her collection of prom gowns and fancy shoes. She is the joke of the neighborhood when she strolls around town in her red lipstick, a prom gown and a tiara. CeeCee is friendless (because of her mother), so she escapes into the world of books, schoolwork, and her kind elderly neighbor, Mrs O'Dell. When CeeCee's mother dies tragically, her father arranges for her to move from Ohio to Savannah, Georgia with her great-aunt Talullah (Tootie) who she has never met. She must leave her father, Mrs. O'Dell, her school and the only home she has ever known. Little does she realize it, but great-aunt Tootie, her cook and maid Oletta, and friends will be the best thing that could have ever happened to her. Together these wonderful women provide CeeCee with the love and laughter she so desperately longed for, and in the process they enable her to come to terms with her past, and to embrace her new life. MY THOUGHTS - A sad, but hopeful story with memorable characters you will not easily forget. 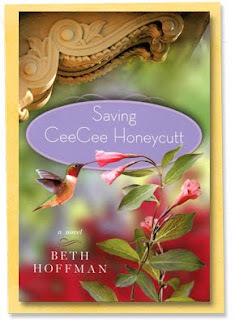 Saving CeeCee Honeycutt is an amazing debut novel. It is one of those rare books that will stay with you long after the final page is turned. HIGHLY RECOMMENDED. Checkout this great video about what inspired the Beth Hoffman to write this wonderful book. Mailbox Monday is a fun meme where bloggers reveal the books that arrived at their house over the past week. It is hosted by Marcia of The Printed Page. 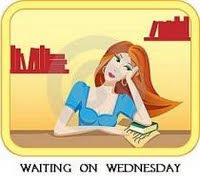 Just review books this week -- no Christmas Books either. Looking forward to hearing about your mailbox this week! Hope everyone who celebrated Christmas had a great holiday. It's always fun to get together with family, but then there is that part of me that just likes hanging out and doing nothing for a couple of days afterward....yesterday and today are those days. Did you eat too much like us? The planter is made from ceramic and has a cat on it. (looks a bit like our Lilly!) It comes with just the right amount of potting soil and one pack of seeds. The only thing it does not come with is the plastic they ask you to over it with after you plant your seeds. About 3 days after planting, the grass started popping through the soil and yesterday, about 10 days after the initial planting this is how it turned out! 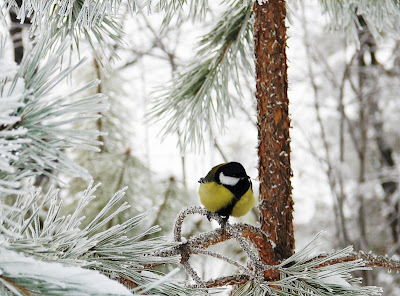 Do you have any plans for the last week of the year? 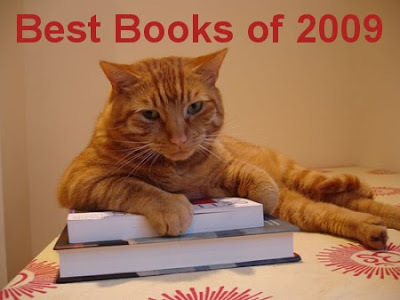 I plan to finalize my posts for new challenges beginning on January 1, and also do a post on my Top 10 Picks for 2009. I also hope to finish one book and read 2 more this week. That's all for now. Have a great Sunday. 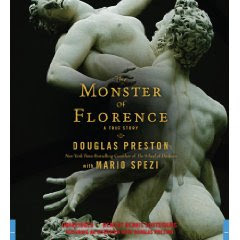 The Monster of Florence; Douglas Preston with Mario Spezi. In 2000, American author Douglas Preston moved with his wife and two children to Italy (just outside of Florence). His plan was to write a new mystery novel. While interviewing an Italian newspaper reporter (Mario Spezi) about the Italian judicial system, Preston learned that the house that he and his family were renting was near a murder site that was connected to a series of related murders in which the serial killer was never caught. In fact, between 1974 and 1985, eight double murders of lover's lane couple occurred. In each of the cases the female victim was badly mutilated. Fascinated by this information, Preston decided to abandon his plans for a mystery novel, and instead, he and Spezi became friends and decided to write about the elusive murderer dubbed the "Monster of Florence" instead. The story is told in two parts: in the first half Spezi describes the murders, the suspects and the botched investigations. 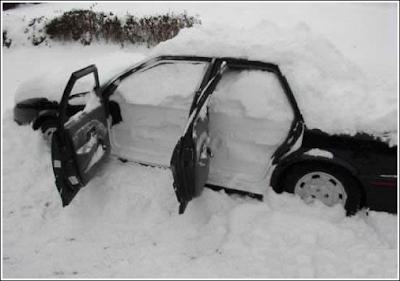 The cases turned cold, some of the witnesses died off after 30 years. The Italian judicial system and authorities are portrayed as down right incompetent and laughable. In Italy, you are guilty until proven innocent. In the second half of the book, Preston tells about how he and Spezi met, and about their decision to write this book. You learn that the Italian officials were so annoyed by Preston and Spezi's research and investigation of these unsolved murders, that they arrested Spezi, and indited him initially as a suspect in the murders. They told Preston that he would be charged with aiding and abetting, and he was advised to leave the country. The authors vividly depict the Italian investigators, prosecutors, and corruption and mismanagement of evidence etc. MY THOUGHTS - The Monster of Florence is a fascinating true crime story. The audio version was read by Dennis Boutsikaris (a favorite audio book reader of mine). He had many distinct voices for the various characters, however the Italian annunciation, became a bit annoying for me after a while. For that reason, I almost wish I read the print version of this book. 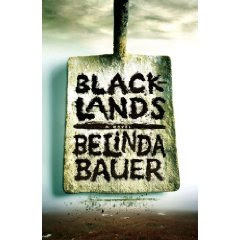 If you enjoy true crime novels, and are not afraid to hear about some very graphic details of the murder and mutilations, then give this book a try. It's not perfect by any means, the killer is never caught, but despite that it is an interesting read. 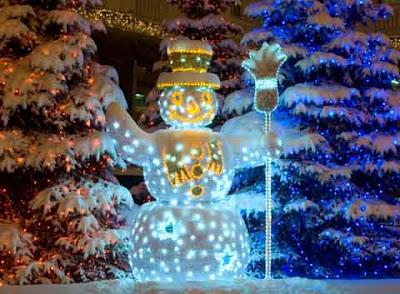 Just wanted each of you to know that I am wishing all of you and your loved ones, a wonderful holiday season, or a Merry Christmas (whichever applies) and a happy and healthy New Year. May 2010 bring you much happiness. (From AMAZON)....From Dagger Award–winning and internationally bestselling author Alan Bradley comes this utterly beguiling mystery starring one of fiction’s most remarkable sleuths: Flavia de Luce, a dangerously brilliant eleven-year-old with a passion for chemistry and a genius for solving murders. This time, Flavia finds herself untangling two deaths—separated by time but linked by the unlikeliest of threads. Flavia thinks that her days of crime-solving in the bucolic English hamlet of Bishop’s Lacy are over—and then Rupert Porson has an unfortunate rendezvous with electricity. The beloved puppeteer has had his own strings sizzled, but who’d do such a thing and why? For Flavia, the questions are intriguing enough to make her put aside her chemistry experiments and schemes of vengeance against her insufferable big sisters. Astride Gladys, her trusty bicycle, Flavia sets out from the de Luces’ crumbling family mansion in search of Bishop’s Lacey’s deadliest secrets. Does the madwoman who lives in Gibbet Wood know more than she’s letting on? What of the vicar’s odd ministrations to the catatonic woman in the dovecote? Then there’s a German pilot obsessed with the Brontë sisters, a reproachful spinster aunt, and even a box of poisoned chocolates. Most troubling of all is Porson’s assistant, the charming but erratic Nialla. All clues point toward a suspicious death years earlier and a case the local constables can’t solve—without Flavia’s help. But in getting so close to who’s secretly pulling the strings of this dance of death, has our precocious heroine finally gotten in way over her head? (p. 4).....My father didn't smile or laugh very much, and he had a limitless gift for making me feel about as important as a lost penny on the sidewalk. Whenever I'd show him a drawing I made or try to tell him about something I learned in school, he'd get fidgety and say, "I'm tired, We'll talk about it another time". (p. 9)...In school I was the skinny girl who had a crown-wearing, lipstick-smeared lunatic for a mother. Nobody talked to me unless they wanted an answer to a test question, and nobody sat with me at the lunch table---well, nobody except Oscar Wolper, who smelled like dirty socks and bore a shocking resemblance to Mr. Potato Head". MY THOUGHTS: I just started this book today, and I am so excited. The writing is wonderful and CeeCee is such a fabulous narrator. For Alice Liddell Hargreaves (AKA Alice in Wonderland) life has been an amazing journey, but as she approaches her eighty-first birthday, and looks back on her life, she realizes to most people, she is known only as "Alice". When Alice was young, her father was friends with Charles Dodgson (AKA Lewis Carroll) a professor who loved photography. Much of his work and interest seemed to focus on young Alice. In fact, much of what was described, involving the two of them, seemed a bit creepy and inappropriate. Alice's mother, a stern and cold woman, became so concerned about Dodgson's relationship with Alice, that things between them came to an abrupt end. Why and what really occurred is never revealed. Told in the first person by the now elderly Alice, the story covers her childhood, young adulthood, and later years. The narrative is vivid and never contrived. 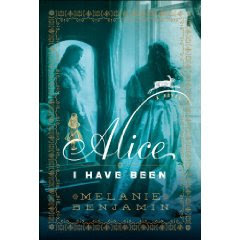 The author does a beautiful job of capturing the voice of Alice throughout the various stages of her life. MY THOUGHTS - If you love good literary fiction, or stories set in Victorian England this book is for you. 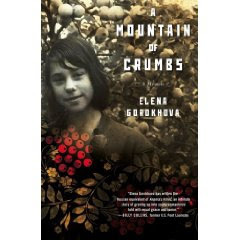 A terrific character study and fictional account of what life was probably like for Alice. 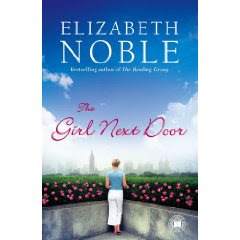 I'll be looking for more novels by this talented author. RECOMMENDED. And the lucky winner is Florinda! 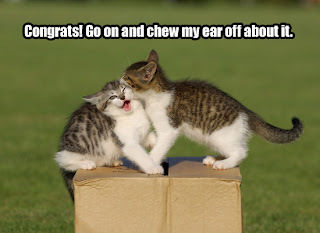 Congratulations and Enjoy! (I just finished this book and liked it a lot). I've been trying to finalize my Top 10 Books for 2009, but did not want to post the list prematurely. There is always that chance that I might hit another home run in the next 10 days. It did get me thinking about books that I enjoyed in previous years. I've only been keeping records since 2001, so I thought that I would post what I considered to be the BEST books that I read in 2001, 2002, 2003, 2004, 2005, 2006, 2007 and 2008. (It was interesting for me to take a look back, scratch my head, and wonder how a few of these books even made my list to read, never mind them ending up being favorites for that year??? Has your taste in books changed over the years like mine? Were any of these books, favorites of yours as well? My 2009 list should be out in another (10) days or so.